Willie Ames has toured all 50 United States, distributed 35,000 CDs to the public, and won several solo artist awards including the Solo Artist of the Year in the 20th Annual Los Angeles Music Awards and National Solo Artist of the Year and performer in the Phoenix Music Awards 2011. So, yeah, more people should know about this folk guitarist/banjoist/singer/songwriter. 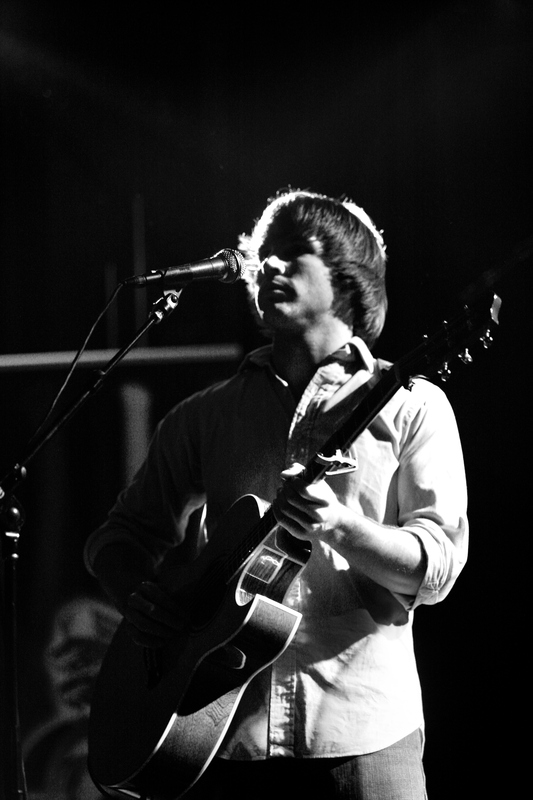 Ames has been playing guitar since he was five years old, and, at 18 decided to pursue music professionally. He added a banjo to his repertoire at 23. Ames plays a distinctive style of classic folk music that focuses on heavier percussion, reverberated noise, and a guitar/banjo style that combines the flavor of early Dylan and Dave Van Ronk with heavier folk artists like Amos Lee. Ames then adds a banjo to the mix, and, instead of falling into the bluegrass banjo trap, the music has an edge that sets him apart from other folk musicians. Listening to Ames’ music is fit with unconscious toe-tapping and head-nodding. The beats are almost funky. The sound is multifaceted like a bean dip (light guacamole on top and heavy beans on the bottom). Gosh, I just compared music to a bean dip. If that’s not a sign to introduce a song, I don’t know what is. “Night Owl,” the title track on the album, perfectly represents what I mentioned above. The beat is authentic. The echoed sounds are reminiscent of a dark night in a deep forest. Ames’ voice reminds me of the Holy Modal Rounders (only slightly), a folk duo from the Lower East Side in the 60s who released an excellent version of “Hesitation Blues.” I hate to be so simplistic, but the song is just cool. I like listening to it. “Stumbling Home” is certainly lighter. The banjo rhythm is catchy and constant. It’s a great song to listen to if you want to unwind. It relaxed me. ← Top 10 Review: American Idol Season 12 – Predictions!